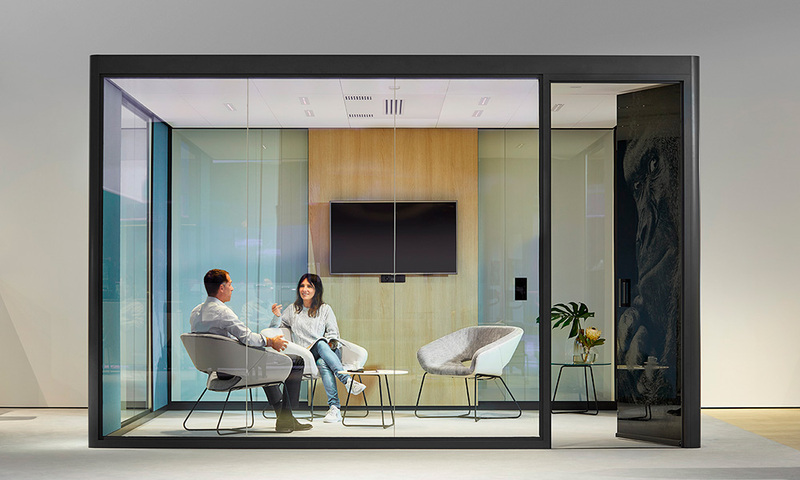 The HumanSpace Cube from Bosse is a modular system that allows spaces to be created independently of a building, a solution for the contemporary, flexible workplace. 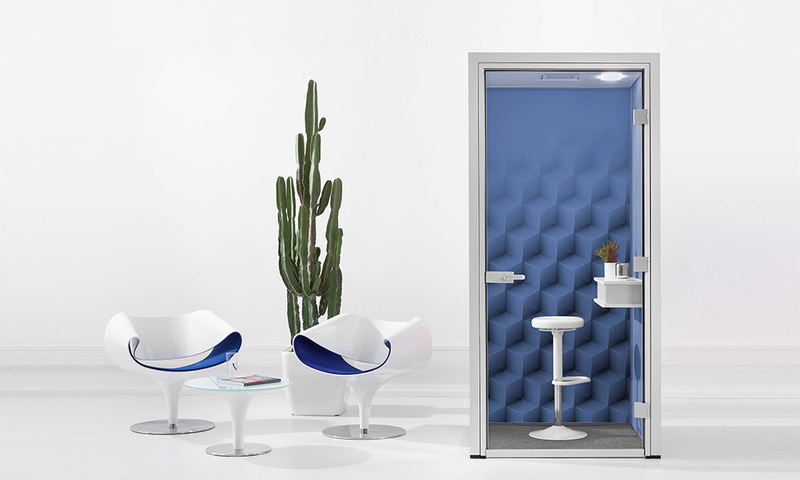 The Cube is a fully aerated, lighted unique private space with a sound isolation of 38dB for open space office environments, perfect for undisturbed communication and concentration. 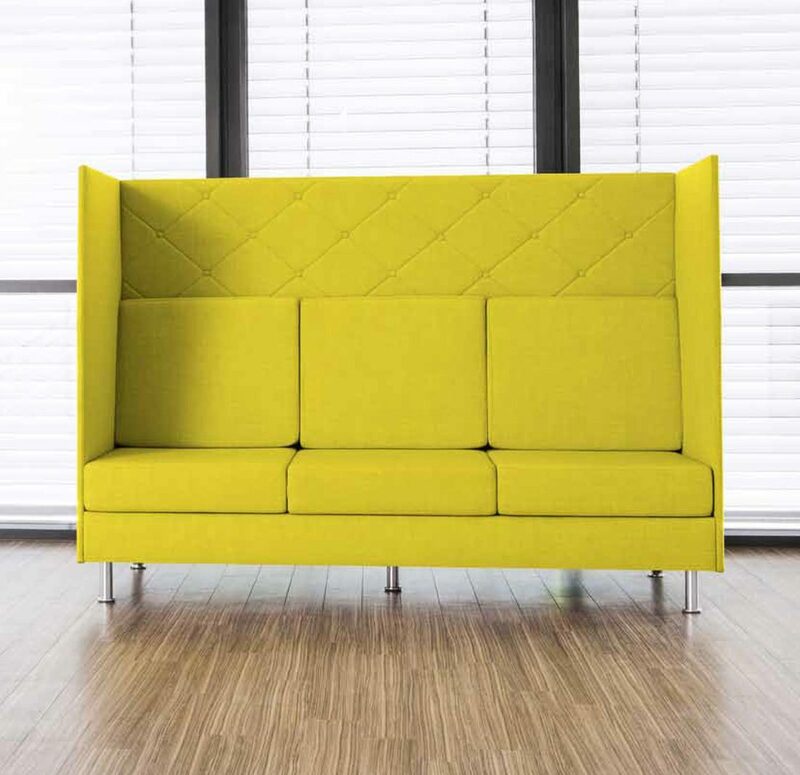 It is not connected or fixed to the building and therefore flexible and can be retro-fitted to create larger or smaller clusters. 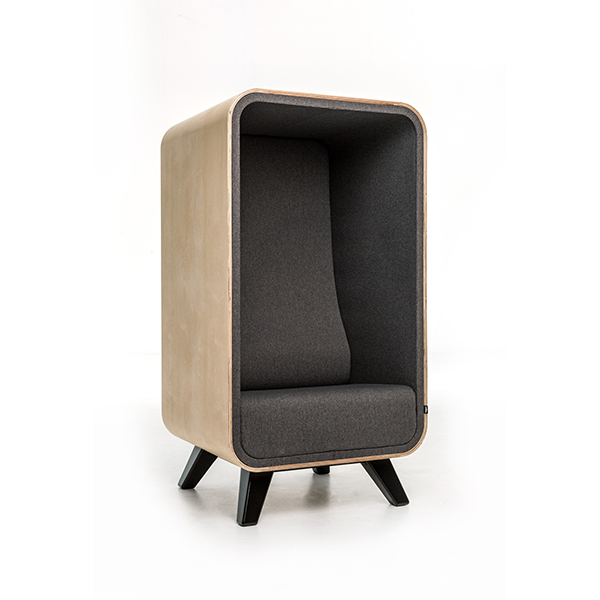 With over 20 textile and graphic solutions, make the HumanSpace cube your own ideal working space. Standard cube becomes modular and can be joined to create larger clusters. Melamine, glass and acoustic panel wall options. 24 colours in textiles for panels. 4 printed graphics for panels. Can be assembled on any surface with minimal installation time. Low noise and energy efficient ventilation and extraction that is independent from the building. Absorber Class A acoustic panels, sound insulation value of up to 38dB. 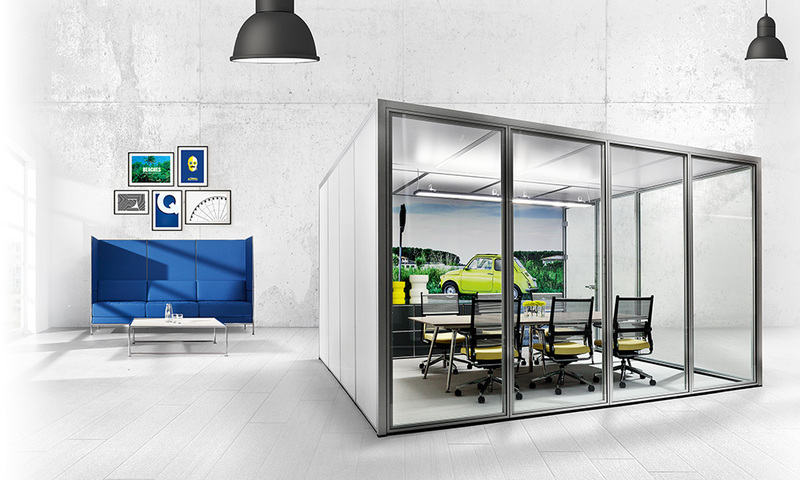 Plug & play electrics that are splash proof, option media accessories such as TV and whiteboards. Infinitely dimmable lighting from 0 to 600 Lux.